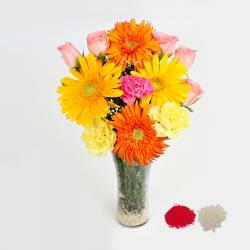 Product Consists : Bouquet of 25 Mix Carnations along with Free Roli Chawal. 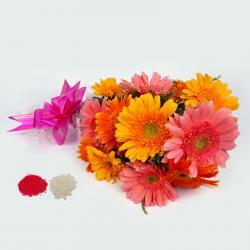 Bhai Dooj is celebrated in honor of the special relationship between brothers and sisters. 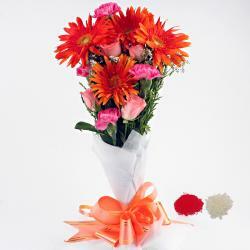 This is a perfect delightful combo of carnation bouquet that your brother or sister would love to get as Bhai Dooj gift. 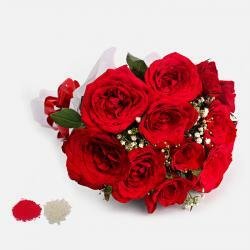 Buy an ideal with quality occasion products from our website and make your online shopping experience an enjoyable one as you can get exciting hampers with unique combination of products range as well. On the day of the festival, sisters perform tilak pooja and pray for the prosperity and long life of their brothers. Giftacrossindia.com offer free Roli and Chawal for Bhai Dooj Tikka. 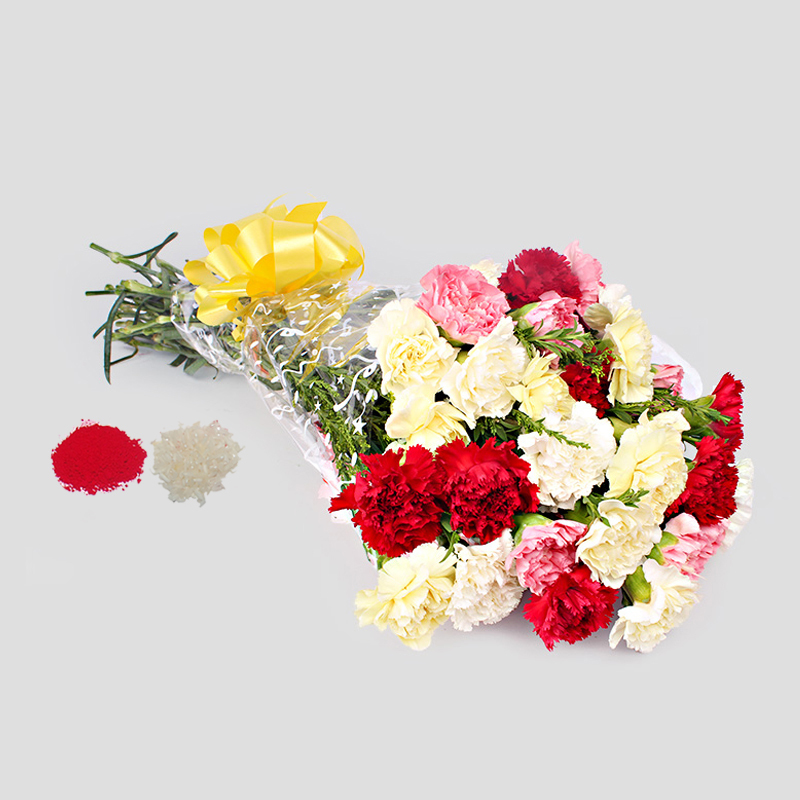 Product Consists : Bouquet of 25 Mix Carnations along with Free Roli Chawal.